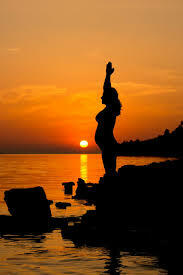 Antenatal/Pre-natal Yoga is the Yoga and the practices done by a lady after conceiving, while carrying her baby. Pre-natal yoga is a combination of Asanas, Pranayamas, Relaxation, Yoga Nidra, Meditation techniques and different Mantra Chantings. The frame of a woman, her emotions, and her psychic evolution is definitely higher than that of a man. In other words, we can say that a woman is more understanding, sensitive, emotional with higher consciousness. “Pregnant mother” goes through immense stress, anxiety, worry regarding their physical, mental, emotional and psychological states while carrying a baby – ‘mother being the main transporter of energy, nutrition, nourishment and growth for the baby. It is important to know that pregnancy is a beautiful experience in a woman’s life and not a disease. Yoga postures are gentle ways of keeping a mother’s body active, supple and minimize the common pregnancy symptoms, like morning sickness, constipation, nausea etc. It can help in ensuring easier labour and smooth delivery by relieving tension around the cervix and birth canal.